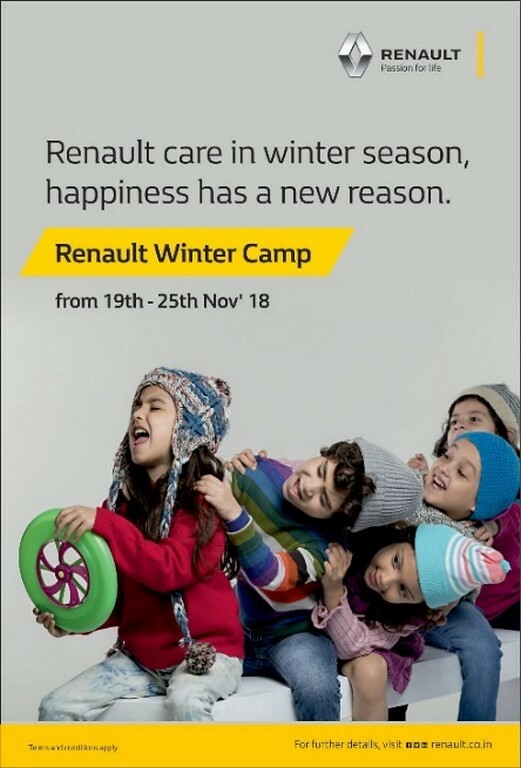 Renault has announced the commencement of a Winter Camp across all Renault Service facilities in India from today November 19 till November 25, 2018. Scheduled for 7 days, the winter camp will offer a comprehensive check-up for all Renault cars. As per the Renault release the primary objective of organizing the service camp is to ensure optimal performance of the vehicles and prepare them to face the tough winter conditions. Trained and well-qualified service technicians would be dedicated to provide utmost care and expert attention that is needed for the vehicles. 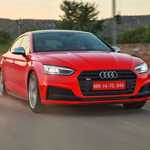 Offering a comprehensive car check-up, the camp will enable a detailed examination of all key functions of the cars as per the guidelines stipulated by Renault India. 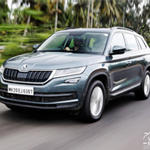 Such periodical checks ensure necessary actions for enhanced performance of the vehicle and provide customers a rewarding ownership experience. As part of the Winter Camp, Renault customers can also avail up to 50% discount on select accessories, 10% attractive discount offers on select parts, 15% discount on labour charges and other value added services. Renault India will also provide 10% discount on ‘Renault Secure’ which covers Extended Warranty and Road Side Assistance. The company will also offer an exclusive plan on ‘Renault Assured’ to facilitate the customers with insurance renewal solutions .In addition to the check-up facilities and free car top wash, Renault India will provide a host of other value-added benefits like special discounts on tyres (select brands) and 5% additional discount on select parts & accessories only for MyRenault app registered users. Several fun-filled activities will be organized for customers with assured gifts, making it an enduring and cherishing experience for the customers. 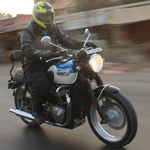 The French car maker says Renault Service Camps have always received an overwhelming response from customers across India and Renault will continue to build on such customer connect activities as it expands its footprint in India. Currently, Renault India also has a widespread presence of more than 350 sales and 264 service facilities across the country with benchmark sales and service quality.